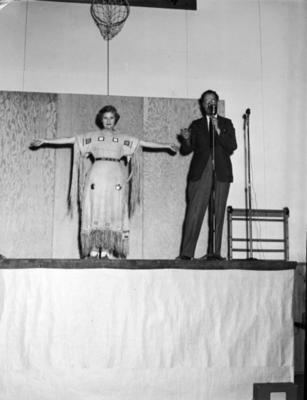 Woman stands with hands outstretched on stage. Man in suit stands at a microphone. Above them is the basketball hoop visible.